The Barr family has been in the Christmas Tree industry since its infant days in the early 1960s. Started by Wilson Barr, Barr Evergreens has been a leader in the industry over the years and has helped shape its growth with an emphasis on protecting the environment. Rusty Barr, a second generation owner and graduate of Appalachian State University, continues the tradition established by his father. Along with Tony Phillips, Production Manager, and a loyal crew of migrant workers, many of which have been working for the Barr's for the past fifteen years, Rusty has grown and expanded the business. The Barr Family farm is located in the northwest corner of North Carolina, near the borders of both Virginia and Tennessee. 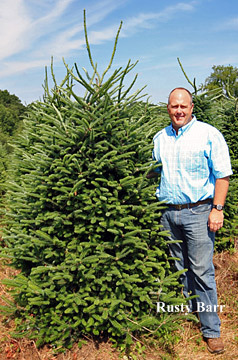 Deep in the heart of the Blue Ridge Mountains in Ashe County, the Barr's grow and ship their award winning Fraser Firs (along with a variety of other Christmas Tree species and nursery stock), all over the country. The Barr's long involvement in the Christmas Tree industry means that they have tremendous experience and expertise in growing high quality trees. They also make a great effort in satisfying and fulfilling ALL of their customer's needs. Indeed, they care deeply about the success of their customers, many of which have been buying trees from them for over 20+ years. The Barr's also welcome new buyers, both experienced and those new to the industry. 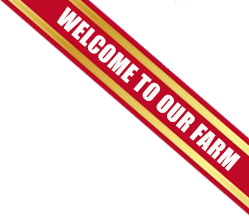 They are always available for consultation and welcome pre-arranged tours of their family farm.